Time Warp Mode Engaged! Saturday, January 17, 2015 – The New Year is barely two weeks old and we’re back in action. We were at Third Eye Comics in Annapolis, MD today. Third Eye’s Steve Anderson is a masterful promoter. He regularly gets top notch talent in for in-store appearances. This time it was DC Comics’ writer Scott Snyder. 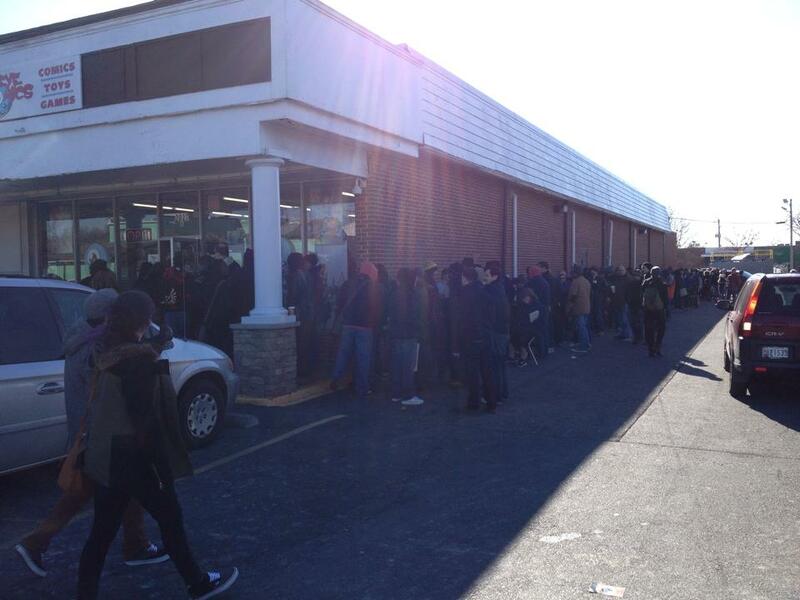 The line was around the corner and down the block! We weren’t able to get an on camera interview but did get to say hello. 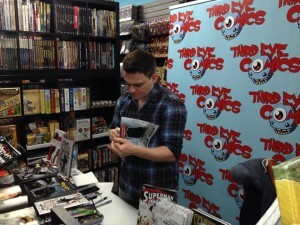 If you’re in Annapolis, MD you’ll want to stop into Third Eye Comics. It is one of the most customer friendly comics specialty stores in the country. Tell ’em that the crew over at FANTASTIC FORUM sent you! ← FF Now in New York!